The gift that keeps on giving. Adults & Kids Cooking Class Vouchers is a great way to give that special someone a present to last a life time. Orders yours today to be posted or email! 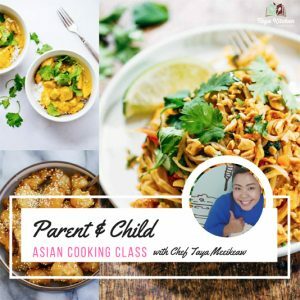 || Sunday 28st April 2019 || Share a memorable and fun experience with your kids learning to cook and create amazing dishes together. Suitable for Adult and Children aged 10+. 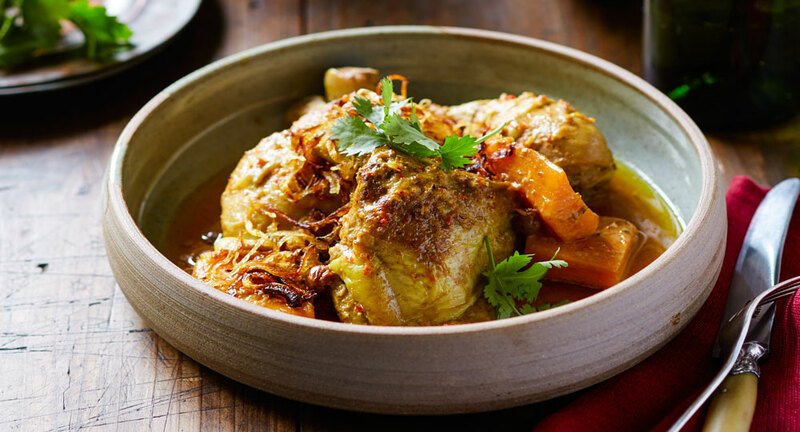 *Menu* Chinese Honey Sesame Chicken, One Pot Mild Yellow Chicken Curry with Potatoes & Easy Pad Thai Noodles with Beef. 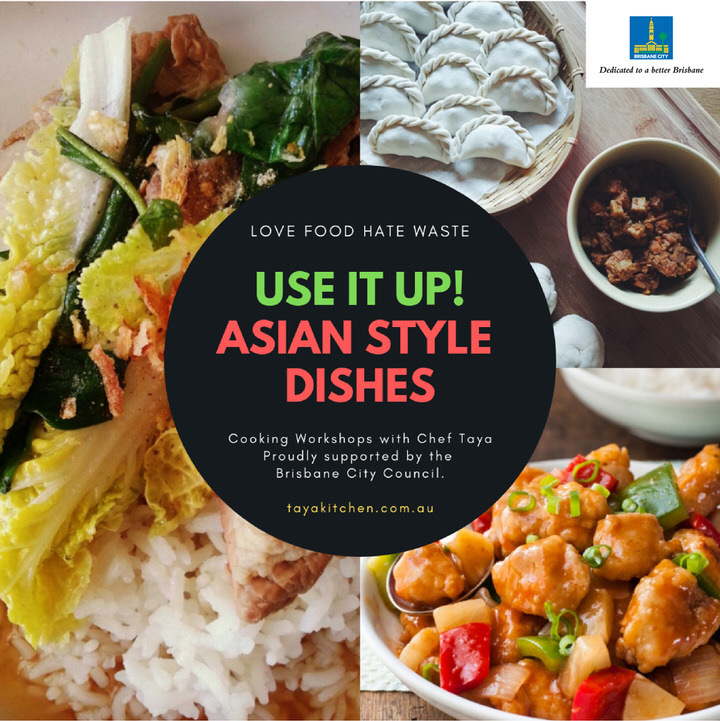 Together with the Brisbane City Council we will be offering special workshops where you will learn to create delicious “use it up” Asian style meals with Chef Taya Meeikeaw. After 9 amazing workshops in 2018 we will be running 2 sessions with a brand new menu in August 2019. ONLY* $50 per person/ per class. Open to people aged 16 years and over. From intimate dinner parties to large celebrations, specialising in traditional and fusion Asian cuisine. 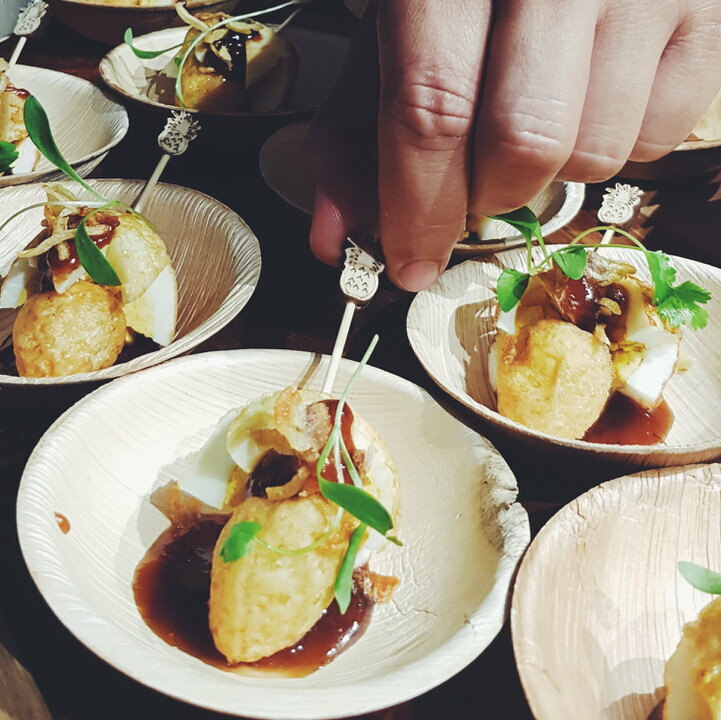 We create spectacular canapes’, mains and dessert for your unforgettable event. Let us make catering tasty and easy for your next party!